Bell Asbestos Mines excavated and milled raw chrysotile asbestos for decades in Canada, producing large quantities of the toxic mineral for a number of industries. Asbestos-related lawsuits forced the company to reorganize under Chapter 11 bankruptcy protection. For more than a century, the Canadian province of Quebec was one of the world’s largest asbestos-producing regions. It began in 1876 with the opening of the Bell Mine in the small city of Thetford Mines, an area rich with naturally occurring asbestos. In 1920, Turner & Newall Company formed after the merger of several United Kingdom manufacturers of asbestos-containing products. One of these companies was J.W. Roberts Ltd., which remained a division of Turner & Newall. In 1934, Turner & Newall bought the Atlas Asbestos Co., a Canadian corporation, and in 1936, it acquired Keasbey and Mattison Company, the owner of the Bell Mine. By 1937, Turner & Newall formed a wholly owned subsidiary, Bell Asbestos Mines Ltd., to acquire the mine and spin it off as a separate business unit. 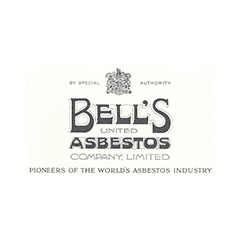 In 1963, Bell Asbestos Mines became the parent company of Atlas Asbestos Co., which later sold and distributed a product called Sprayed Limpet Asbestos, a spray-on asbestos insulation and fire retardant found to be one of the most dangerous asbestos products ever produced. That product and many others manufactured by Bell Asbestos Mines and parent company Turner & Newall led to a number of asbestos-related lawsuits. U.S.-based Federal Mogul Corporation purchased Turner & Newall and all of its subsidiaries in 1998. It was a hardly a windfall buy. Federal Mogul filed for Chapter 11 bankruptcy in 2001, primarily as a result of asbestos-related claims filed against Turner & Newall and its subsidiaries. Bell Asbestos Mines faced a number of liabilities related asbestos exposure. From 1932 until the late 1970s, it supplied raw asbestos fiber to many U.S. manufacturing companies. Turner & Newall defended numerous asbestos lawsuits filed by plaintiffs exposed to asbestos during the fiber’s manufacturing or transport. Turner & Newall sold Sprayed Limpet Asbestos in the U.S. from 1967 until 1974. Asbestos claims related to this product stem from allegations that a plaintiff worked as a sprayer, a sprayer’s assistant or other occupations that shared a worksite where Limpet was used. Family members who washed asbestos-covered work clothes also faced risks for secondary asbestos exposure. As part of Federal Mogul’s reorganization plan, a separate fund was created to handle only lawsuits against Turner & Newall, which included claims resulting from the Bell Mine. The fund, named the T&N Subfund Trust, was founded in 2007 and began accepting claims in late 2010. Similar to other trust funds, the T&N Subfund offers claimants a choice of how their claims will be processed — either expedited or individual. The expedited claims take less time, but a single, fixed payment is dispensed to all claimants regardless of exposure or health condition. Individual reviews take more time and payment amounts vary. Exposed to Asbestos to Bell Asbestos Mines? In 1984, a New Jersey jury awarded Geneva Fischer $391,000 in her lawsuit against suppliers of asbestos materials. A number of defendants originally named in the case were narrowed to just three: Johns-Manville, Bell Asbestos Mines and Celotex Corporation. The jury found Johns-Manville 80 percent liable and Bell 20 percent liable for the death of Geneva Fischer’s husband, James, who died of pulmonary problems related to lung cancer. James Fischer worked with a variety of asbestos product in Passaic County from 1938 to 1942. Bell was ordered to pay $5,000 in compensatory damages and $60,000 in punitive damages. Fischer’s lawsuit claimed the companies failed to warn of the dangers of working with asbestos products. James Fischer never wore protective equipment or was given instruction on safe handling of asbestos either by his employer or by the suppliers of the products — Johns-Manville and Bell. The two companies appealed the ruling, but the Supreme Court of New Jersey affirmed the judgment on July 31, 1986. Claims against Celotex Corporation were dismissed. Major Decision Made in Washington D.C. In 1985, the United States District Court for the District of Columbia denied the motions to dismiss defendants Turner & Newall, Atlas-Turner Inc. and Bell Asbestos Mines from the case McDaniel vs. Armstrong World Industries. The motions alleged that the court lacked personal jurisdiction over the defendants, since they had not had contacts with the district for more than a decade at the time of the lawsuit. Plaintiff Fletcher McDaniel worked as a plasterer’s helper from 1950 to 1982, working at various job sites in and around Washington D.C.
Fletcher, who was diagnosed with pulmonary disease in 1983, claimed he was exposed to asbestos-containing products during his career, including Sprayed Limpet Asbestos. Sprayed Limpet Asbestos used raw asbestos fibers from the Bell Mine in Canada and was manufactured in the United Kingdom. Courts around the U.S. would later refine statutes of limitations for those diagnosed with asbestos-related diseases given the unusually long latency periods associated with the illnesses. On Oct. 6, 2011, the Superior Court of the State of Delaware granted Bell Asbestos Mine’s motion for summary judgement, or a court order ruling no factual issues remain to be tried and therefore a cause of action or all causes of action in a complaint can be decided upon certain facts without the need of a trial. Plaintiffs Robert and Carolyn Truitt sued Bell Asbestos Mines and Atlas Asbestos Co., along with other defendants that manufactured, installed, supplied or were otherwise associated with asbestos products. Robert Truitt, who was diagnosed with asbestosis and lung cancer, reportedly used Sprayed Limpet Asbestos during his employment with the DuPont nylon manufacturing plant in Seaford, Delaware. At the time, Bell owned Atlas, but since they later broke into separate companies, the plaintiff’s alleged it was not clear which of the two successor corporations should be held liable for Robert Truitt’s injuries. The Superior Court of Delaware ruled that “given the corporate identity between Bell and Atlas Turner at the time when the harm was alleged to have occurred” Bell was entitled to summary judgement. Since the case did not go to trial, it was settled out of court for an undisclosed amount. Turner & Newall’s Sprayed Limpet Asbestos was replaced by sprayed slag wool in 1976, after the United States banned sprayed insulation productions made up of greater than 1 percent asbestos. Those most at risk for asbestos exposure from Bell Asbestos Mines were the miners and millers of the chrysotile asbestos. Asbestos fiber from dumping 250 tons of waste from the Bell Mine polluted the area of Thetford, Quebec. Dr. Lewinsohn, Turner & Newall’s physician, found that instead of providing workers with safe conditions, the mill increased asbestos output. However, the asbestos exposure risk reached much further. Federal Mogul inherited the majority of its asbestos claims after acquiring Turner & Newall. A wide range of construction occupations were exposed to these products, including insulation workers, carpenters, painters and electricians. Sprayed Limpet Asbestos contained 60 percent asbestos, 38 percent cement and 2 percent mineral oil. As a fireproofing treatment_are you even in though_, insulation workers applied Limpet to steel beams, girders, columns or the underside of flooring. And as an acoustical treatment, workers coated ceilings or walls with the product. In addition, HVAC workers were likely exposed to Limpet used as thermal insulation for energy-producing turbines. Turner & Newall also brokered raw asbestos fiber to companies in various parts of the world. Federal Mogul Asbestos Trust. (2010, August 18). T&N Subfund of the Federal-Mogul Asbestos Personal Injury Trust. In Re: Asbestos Litigation. (2011, October 6). RAND. (2010). Asbestos Bankruptcy Trusts. McDaniel v. Armstrong World Industries. (1985, March 14). Castleman, B. (2004) Asbestos: Medical and Legal Aspects. Superior Court of New Jersey, Appellate Division. (1984, January 31). Fischer v. Johns-Manville Corp. The Supreme Court of New Jersey. (1986, July 31). Fischer v. Johns-Manville Corp.